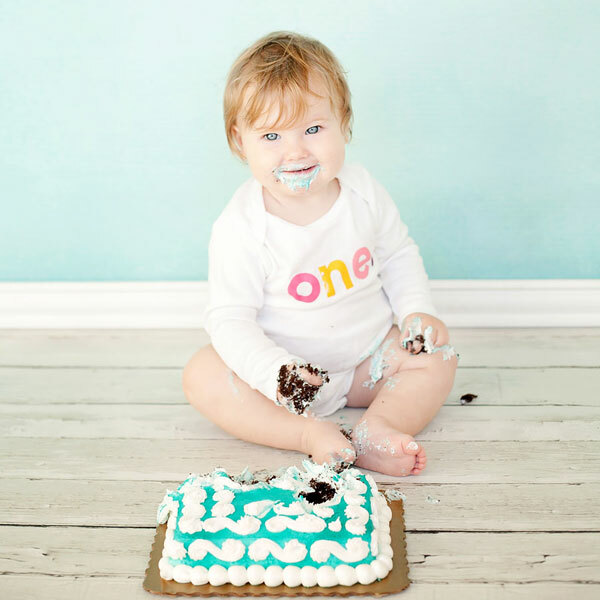 You guys, this adorable baby turns ONE tomorrow!!! I just can’t even! Is there anything cuter than that face?!? Smiles is a perfect example of how those two descriptions are NOT interchangeable! She is the BEST! It doesn’t get better than this. I mean she is the smiliest (which spell check wants to correct to slimiest…sometimes she’s that, too), most joy-filled, adorable, clever, silly, sweet baby… a total answer to prayers and the most amazing blessing imaginable. But listen, she is not an easy baby to take care of! But otherwise her first three weeks when Daddy was home were fairly typical for life with a newborn…and then he left. If you’ve never seen a baby spew sour milk three feet in the air all over everything, you have no idea what this is like. Compared to spitting up, it’s not just a horse of a different color, it’s a whole different animal. To add to all that, plus never-ever wanting to be set down, her two big sisters somehow always seemed to choose the exact moment she had fallen asleep to scream, or run up and try to lavish all their hugs and kisses on her, or whatever…good intentions or not, Momma needed baby to nap. Babywearing was sometimes a saving grace, except that it seemed like ridiculously often she covered me and my wraps (and herself) in projective vomit, and then everything was dirty and I couldn’t wear her. One time, maybe a month or so into this adventure, I remember having her in a wrap, all snug against my chest, and I’d managed to get everyone dressed and ready for a walk outside, when she spat up ALL down my shirt…and ya know what, I wiped up what I could without moving her, shoved a burp cloth over the rest of the mess, and went on that walk anyway. Desperate times, my friends, desperate times. In addition to all of that, it seemed like she preferred ANYONE else over me. I mean, she was definitely a Daddy’s girl, which I was ok with because it meant I could hand her over to him in the evenings and get some respite…at least when she wasn’t hungry, cause she had some sort of tongue thrust thing and would not take a bottle. I’m not saying she screamed non-stop. There were lots and lots of great, peaceful, snuggly, wonderful times. And when she wasn’t upset, she smiled and giggled sooner, and more often than any baby I’ve ever seen! The colic did go away gradually sometime between 3 and 4 months, and the projectile vomiting mostly ended by about 6 months. She still seriously fights sleep, only naps in my arms, wakes up 3-4 times a night (we co-sleep, so for the most part, I don’t really care, life would be much harder if I always had to get up with her), has occasional nights where I must be cuddling her all night, AND she is just the absolute best! I mean, have you seen the way she grins? And how she says “YES!” And gives hugs and kisses (Oh my word, just ALL THE AWESOME FEELS! ), and pretends to be asleep when she falls on her face, like, “Yep, I meant to do that, look how cute I am sleeping here!” And scrunches her nose, and claps her hands, and plays peek-a-boo, and giggles (Is there anything better than baby giggles? Spoiler alert — there’s not!). But forget all that. 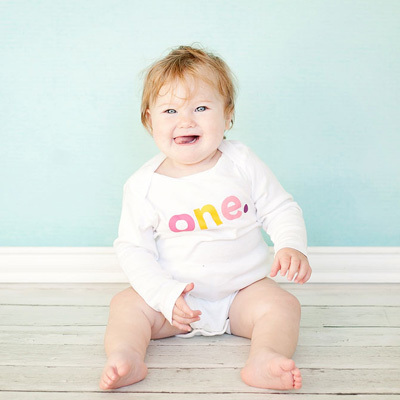 She’s my baby – fearfully and wonderfully made, with her beautiful eyes, and tiny fingers and toes, and those baby cheeks! No, she’s not a very easy baby. But is she good? Of course! Yes! She’s incredible!!!! ← Salted Caramel Brownie Amazingness!!! Can’t believe she’s a year old already! Congrats for surviving the first year!!! Happy Birthday, Princess!